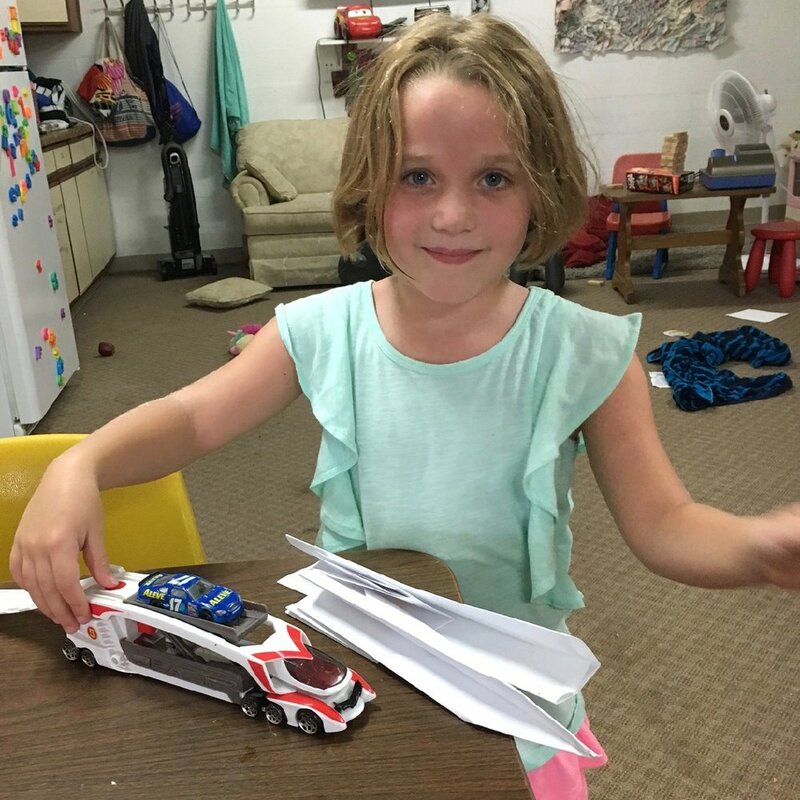 Fun in the Sun, based at Unitarian Society of Germantown (USG) , Philadelphia, and The Plymouth Swim Club in Plymouth Meeting, provides full day summer care for children between the ages of 5 and 14. Camp hours are from 7:30 AM until 6:00 PM. The hours for Fun in the Sun at both locations are 7:30 AM. to 6:00 PM. Monday to Friday. If you are choosing USG as your drop off location your child must be there no later than 10:30 AM. which is the time we prepare to depart to the swim club. Mornings, from 7:30 AM until 11:00 AM, campers have many activities to choose from: arts & crafts, a dramatic play/dress-up area, a book nook, a block-Lego-Construx type building and play area, a board game area, computers, an outdoor play yard, and a ball playing area. A child may choose to play in any, or all, of these areas during the morning, changing activities at will. Each of the areas is staffed by at least one counselor for help or companionship. At all locations a snack is provided for the children every morning at 10:00 AM. 10:30 AM is clean-up time at which time all campers and counselors help put away the materials and toys used during the morning. After clean up everyone gets sunscreen. Final attendance is taken and younger campers are assigned a counselor who will help them throughout the day and with lunch, changing, and sunscreen when at the swim club. At the USG location we board the bus at 11:30 AM for the drive to Plymouth Swim Club. Upon arrival at the swim club we get together with the swim club campers and everyone eats lunch and changes into bathing suits, if not already wearing it. If a camper needs to buy lunch,s/he may do so at the club’s snack bar. The Camp has its “own” centrally located tree as its designated day-long gathering area. The campers leave all their belongings under the tree so they can easily access them. There is always an adult present at the tree along with a counselor or two to help any children who may need it or to provide conversation and companionship. While at the swim club, campers have the use of all the swim club facilities: pools, playground, arts & crafts area, basketball court, baseball field, playing field, ping pong area, board games and the snack bar. The club has three swimming pools, a little 2 foot pool for the youngest campers, a medium pool with depths from 3 feet to 4 feet, and a big pool with diving boards, all fully staffed with the club’s certified life guards. Fun in the Sun also has at least one counselor assigned to each of the pools and playground throughout the day. Children who are returning to USG start to get ready at 4:45 PM. They gather their belongings, change, and board the bus for the return trip, arriving back at USG at approximately 5:30 PM. Children must be picked up at any time between 5:30 and 6:00 PM.